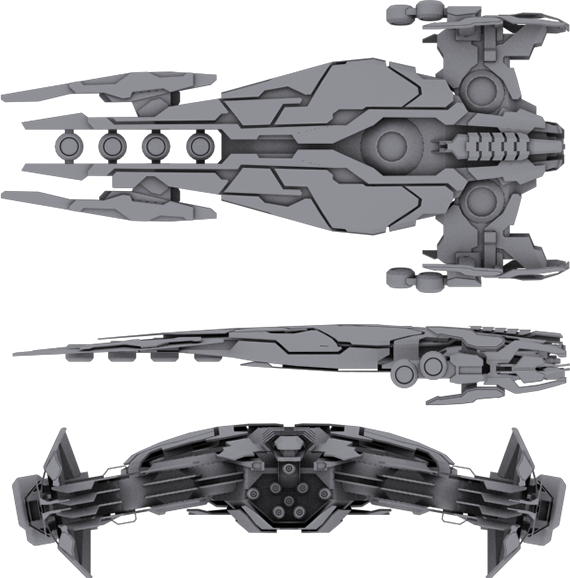 This ship is used for terraforming purposes, basically what that means is that it flies in orbit around a planet and it uses it's 8 launchers to shoot dozens of torpedoes to the surface of the planet. These torpedoes are packed with bio material and life forms to kickstart a planet's terraformation. Several of these seed ships have been built so far and they have been sent in deep space on auto-pilot to launch their payloads at any suitable planets they encounter on route. 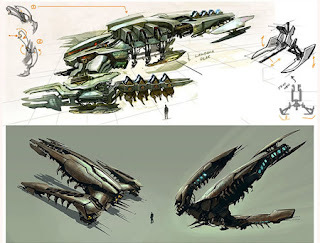 Note: The ship was inspired by a concept art image made John Wu. 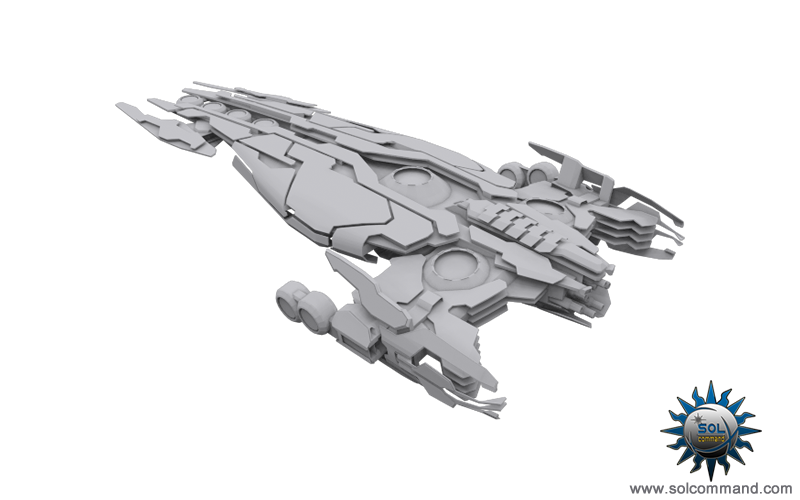 I really liked this particular ship design so I made something based on it but still somewhat different. Ok, the "plating" and the "fins" at the rear got me. I like it because i find it to be different somehow from the other models you did. Good job. Cheers mate. Yeah I tried to go for an alien-ish design but still having some terran influences, cause we all know how much I like terran style. Yup, that was the idea. I can easily imagine this kind of encounters in a game's mission (like Freelancer for example). I for one would sure like to fight with such a ship that's "invading" my territory and trying to terraform my homeworld. John Wu here... Nice modelling! Really glad you liked the design and quite flattered you took the time to 3D-ify it:). Kudos! So, I downloaded the Seed ship 3d file and actually had it printed. It now lives in reality. Nice ! Do you happen to have a photo of it mate ?